You know how in the NBA-- when the ball manages to get tossed off the court, every player on the floor seems to forget the fact that just off in the distance their diamond earrings, gold watches and sports cars await them in the locker room and parking garage and instead retreat to their elementary school selves by pointing at the nearest athlete wearing a different colored jersey? Like the perpetually mischievous kid who says "I didn't do it," even before an accusation can be made, the players try to distract the refs, coaches, and fans with confusion by passing blame even for a second to try and save face, stay in the game, and keep their hands on the ball. Although on the surface, finely tuned athletes and alternative former goth/grunge singers couldn't appear to be more different-- in reality, they're more alike than one would think. 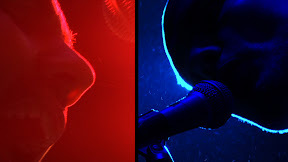 After a band breaks up, some members go into retreat, silencing themselves or taking the fifth as far as all media outlets are concerned (until perhaps they decide they want to cash in with an exclusive interview or memoir) and others take the lowest road imaginable, lashing out, laying blame, spreading rumors, sharing dirty little secrets either vocally in interviews, subtly in lyrics, and (now in the world wide web) by airing their frustrations out on MySpace pages and blogs. 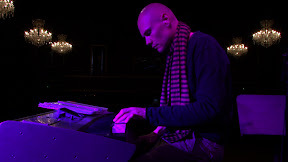 Billy Corgan, arguably one of the most talented and commanding performers of the alternative music movement that took the world by storm in the '90s has meandered back and forth between the two modes, choosing not to share the tales that led to the demise of his phenomenally successful band Smashing Pumpkins in the new documentary If All Goes Wrong. However, but at the same time, opting to-- not kiss and tell but-- rock and reveal by typing out some scathing indictments of former members-- namely guitarist and backing vocalist James Iha and bass guitarist and backing vocalist D'arcy Wretzky. With many mixed messages involving drug abuse, egos, dwindling sales, the decline of alt-rock in general, enormous artistic pressure, complaints about talent and control (with some accusations that it was truly Corgan along with his incredible jazz inspired drummer Jimmy Chamberlin who were responsible for most of the music on any given Pumpkins album), it's impossible to know what really happened. While Corgan rebounded with a short-lived band called Zwan before going solo and then trying his hand at poetry, in April 2006 after Corgan took out full page advertisements in his hometown's two biggest newspapers The Chicago Tribune and The Chicago Sun-Times announcing his ambition to reform the Pumpkins, Jimmy Chamberlin signed back on as new members replacing Wretzky (who had been the first to quit years earlier) and Iha joined the group. Featuring new bassist Ginger Reyes and guitarist Jeff Schroeder and also bringing in the talented keyboardist Lisa Harriton for some of the work, Smashing Pumpkins (version 2.0) took an interesting approach to both reintroduce audiences to the band and as a bizarre form of "rock boot camp," getting the newbies right into the trenches as "rock 'n roll soldiers" (as they were dubbed on the DVD). To this end, they opted to find their footing, rehearse, perform and create new material via two lengthy "artistic residencies" in both Asheville, North Carolina and also San Francisco, California. On the first disc of the DVD set, in the roughly one hundred minute titular documentary which derived its name from one of the group's songs, we're quickly brought up to speed as we're reminded that the last four and a half hour long show performed by the former version of the band (which brought such groundbreaking albums as Mellon Collie and the Infinite Sadness and Siamese Dream to listeners) occurred back in December of 2000 in Corgan's hometown of Chicago after the group's "fourteen year journey" to rock glory. 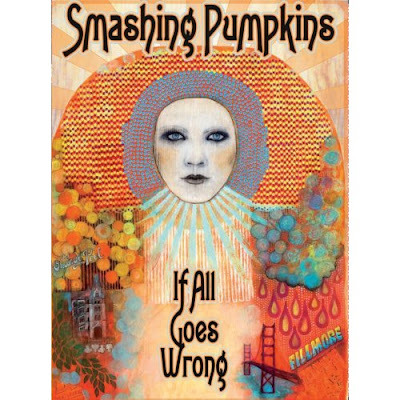 Following a Parisian show in 2007, the band announced its vague intention to perform a few gigs in the states which sold out in minutes and later in an attempt to stay in the same place for awhile and develop a sense of comfort, Corgan decided the next step was doing a Pumpkins style artistic residency-- "art for art's sake"-- by playing several nights beginning on June 23, 2007 at Asheville, North Carolina's historic, bohemian, 942 seat capacity venue The Orange Peel before venturing onto San Francisco's legendary Fillmore Auditorium to complete the 19-night residency. 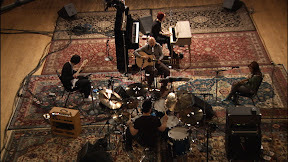 While Corgan remained as prolific as ever, writing a plethora of new material one day and then performing it with his band-mates either the same night or the next, they encountered a few speed bumps along the way as their new rock heavy attack mode of performance didn't sit as well with some fans and critics as they hoped. 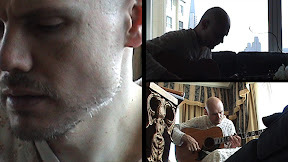 Instead of delivering full sets filled with the band's greatest hits, Corgan's play-lists, developed right before each show so even the rest of the band (despite four hour practices daily) didn't know exactly what they'd be tackling in each three hour event, seemed to sprinkle the classics sparingly throughout in a sea of alternate and extended versions of songs, b-sides, a thirty minute version of "Gossamer," new material, and other performances. The final result left some fans walking out in disgust, some whose expressions are so baffled you nearly expect there to be a cartoon styled cloud with a question mark next to their heads, and with numerous critical reviews which were less than kind to put it nicely. While Corgan and The Who's Pete Townshend complain in director Jeff Gulick's documentary that some die hard fans don't want bands to change and Townshend levels a scathing indictment at critical snobbery, their grumpy attacks and "woe is me" frustration do seem to be a bit like self-created drama when one show is so ill-received that even Corgan himself calls it a "f***in' nightmare," likening the horrific Fillmore experience to "three hours of f***in' quiet misery," having the techies call the show by turning on the lights as if they were pronouncing a patient dead at the hospital. An intriguing study of-- if not the Pumpkins (as ultimately it leaves you with more questions than answers and as Zia Records notes, "your breadth of Pumpkins expertise has to extend well beyond humming "1979" on the radio every so often to appreciate this...")-- than Corgan who mostly appears wearing a nightgown in a hotel room, writing material, complaining, and every so often breaking down that wall that he builds up between him and us so that we catch a fleeting glimpse of what he may really be like beneath the cynical remarks and poses. Ultimately, after viewing If It All Goes Wrong, my feeling about the reinvention of Smashing Pumpkins is mixed as Corgan's incredible talent is on display as he second guesses his lines aptly revealing "if you try to make it wordy, it destroys the sort of meditative quality" of his artistic output which one interviewee describes as his incessant quest to try and "make flowers grow out of cracks in the pavement." Yet, it also seems like he should've perhaps moved onward to the formation of a new band altogether as he and Chamberlin have grown and evolved since the days of Mellon Collie. This is especially apparent as one of the opening scenes of the documentary finds Corgan noting that going back into the Pumpkins is like re-upping for the army to encounter experiences and situations he doesn't want. Thus, I almost feel like the depressive and inner-demon plagued Corgan may have found a greater freedom in letting go of all of those pent up emotions (which come out throughout the doc as he throws his guitar in his room when reminded of Iha) and instead moved onto his next endeavor, leaving the Pumpkins where they should be in our minds, hearts, and with all those lyrics flooding through the bloodstream of Generation X. 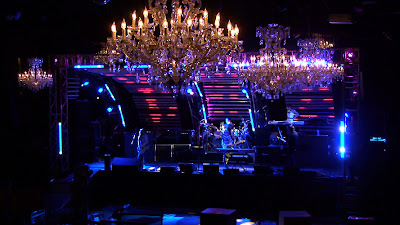 Still, the DVD set which offers The Fillmore Residency concert featuring fifteen tracks that begin with a twenty minute acoustic style set before launching into a major rock event (including "Starla" and "Gossamer") along with bonus material, interviews, performances, and featurettes is state-of-the-art and majestically packaged as nearly a work of modern art in its own right. Captured in 5.1 Digital DTS Surround Sound and high definition footage often utilizing split-screens showing every angle from the twelve cameras which recorded the historic event, offering seven all new tracks that were previously unreleased, it's worth a look for devotees of the band who idolized Pumpkins, still have that old Zero t-shirt in their closet, as well as bought and loved their new disc Zeitgeist. You just need to be willing to let the "glory days" stay in the past, don't expect any additional insight about Iha or Wretzky, brush up on all things Pumpkins as this is far from undergraduate level study of the band and extensive prior knowledge is required, and be prepared to overlook some Corgan finger-pointing, pity parties, and a few too many shots of him looking like one of those airport Hare Krishnas in his nightgown.